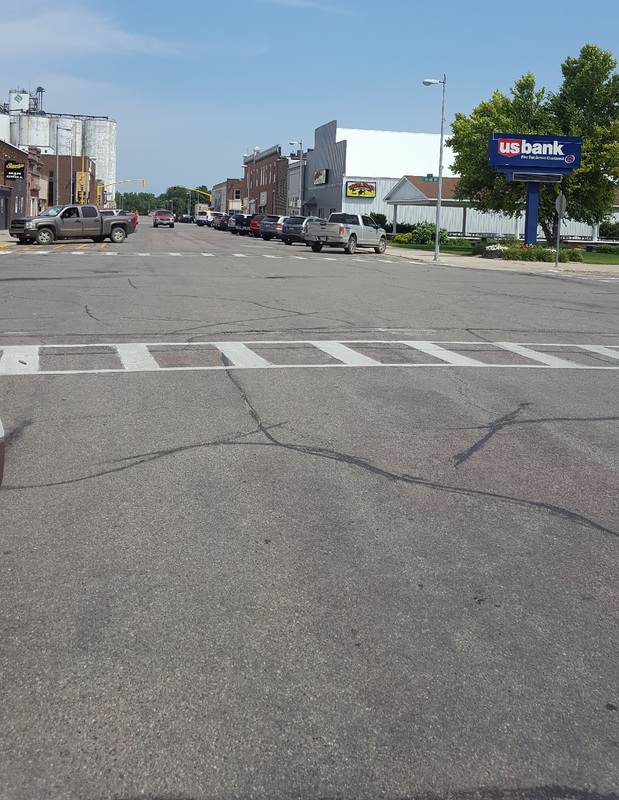 Rock Rapids, Iowa — One of the major downtown streets in Rock Rapids is going to be reconstructed yet this summer, making it a little more difficult to do business on that stretch of street. But the City of Rock Rapids says contingency plans are in place so that business shouldn’t be affected too much. Rock Rapids officials tell us that the Story Street Reconstruction Project (just south of Highway 9) is scheduled to start during the week of August 13th, 2018. City Administrator Jordan Kordahl tells us more. He says it also will include new, more decorative street lighting. Kordahl says work will begin with the removal of street and sidewalk in the first block, from First Avenue (Main Street) to South Second Avenue. That’s the area from Rexall to US Bank. Work on the second block, from Second to Third Avenue (past Dollar General and the courthouse), will start about two to three weeks later. Paving is tentatively scheduled to start in mid‐September. All sidewalks in the project area will be replaced except for the one along Courthouse property. Kordahl says that in order to minimize the amount of time during which storefronts will be not accessible, the contractor will remove the sidewalks in two parts. Kordahl says most businesses will also allow for access through the rear or side of their buildings. He says that because the project includes replacement of water mains, each property will incur a temporary disruption of water service during disconnect from old service and reconnect to new. In order to minimize the inconvenience to affected water customers, the contractor will try to schedule the change of service to occur during periods of low water usage. Vander Pol Excavating of Orange City is the general contractor for the entire project. The work schedule runs from 7:00 a.m. to 6:00 p.m. five days per week. They hope to be done with the work by October 15, 2018. Kordahl says the total price tag including infrastructure is estimated to be about $730,000. He says roughly 30 percent of that total will be paid by the property owners. The rest will be paid by the City of Rock Rapids and Rock Rapids Municipal Utilities. This entry was posted on Friday, August 3rd, 2018 at 6:19 pm	and is filed under Community Calendar, News. You can follow any responses to this entry through the RSS 2.0 feed. Both comments and pings are currently closed.